I see wooden sailing ships heading to sea. Out on the horizon a fleet of warships approaches. A battle ensues: cannons firing, masts and sails falling, smoke rising. Standing atop Signal Hill, St. John's NL, in 2013, the history of this place evokes vivid imagery. St. John's harbour is well protected from the Atlantic. Signal Hill is the perfect lookout. It is no surprise there has been a long history of battles for this coveted harbour. Just to the south of St. John's, Cape Spear projects out into the Atlantic. 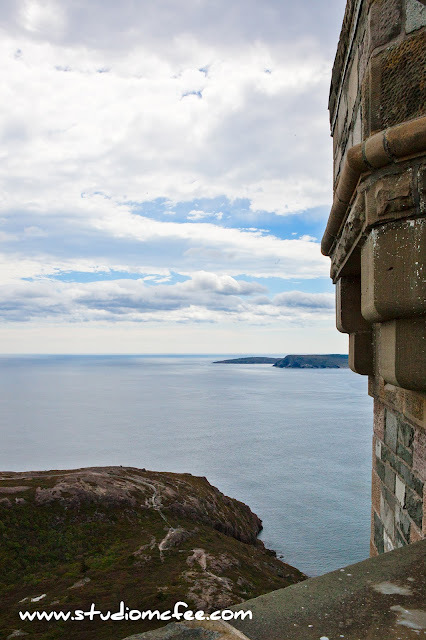 In the photo above, the ramparts of Cabot Tower (on Signal Hill) frame Cape Spear. Cape Spear has also participated in this history of conquest. It is the easternmost point in Canada. 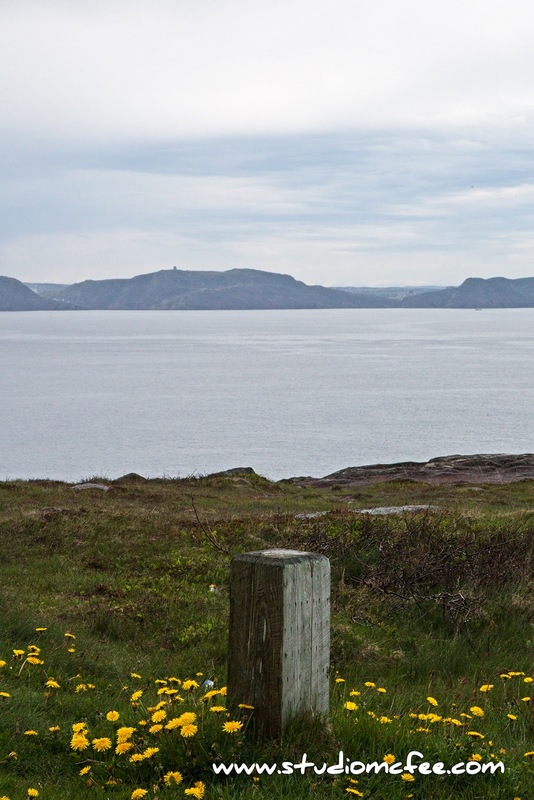 In fact, Cape Spear still has a gun battery and bunkers from World War II. The history fascinates. The beauty of the landscape captivates. The imagination is piqued.